»My God»YOU have purpose….yes YOU! Don’t let anyone tell you or make you feel as if you don’t have purpose! Yes, some of us can make things work better than others. But that does not mean you don’t have a place in this world too. Jeremiah 29:11 tells us that God has plans for YOU. Which means he set somethings aside just for you. It’s coming! But I must ask, what are you doing until then? 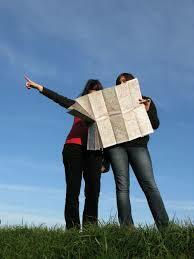 When we don’t know how to get somewhere, some of us WILL ask for directions. But some of us won’t. Some of us will get the directions but still try to find it on our own. But some of us still won’t ask. Some of us give up when it starts looking to difficult. Some of us never try. Guarantee you, someone out there is waiting to be used by God to help you, but they can’t find you in the sea of people until you raise your hand for help.